Meet the 2017 SJ5K Families. Watch the 2017 video highlighting our recipient families. Lizzy Verdugo, a freshman at Canton High School, (and former East Middle School Rocket), suffered from many symptoms for years-- occasional headaches, frequent illnesses, excessive thirst, increased vulnerability to breaking bones coupled with a decreased ability to self-heal, and she stopped growing. After multiple reassurances from doctors that Lizzy was merely lacking in nutrition and believing her to be a “late-bloomer,” one doctor finally realized something wasn’t right, and referred her to a specialist. Within weeks (in summer of 2016), the specialist discovered that Lizzy had a brain tumor that was compressing her pituitary gland, which stunted her growth, caused hydrocephalus, and led her to develop Diabetes Insipidus. After brain surgery, 4 rounds of chemotherapy, and 20 radiation treatments, 99% of the tumor has been cleared. If her after-treatment MRI’s in March show no growth in the remaining fluid sac, she will begin Growth Hormone Therapy. Lizzy’s sister, Izzy, attends P-CEP and her sister, Jordan, attends West Middle School. 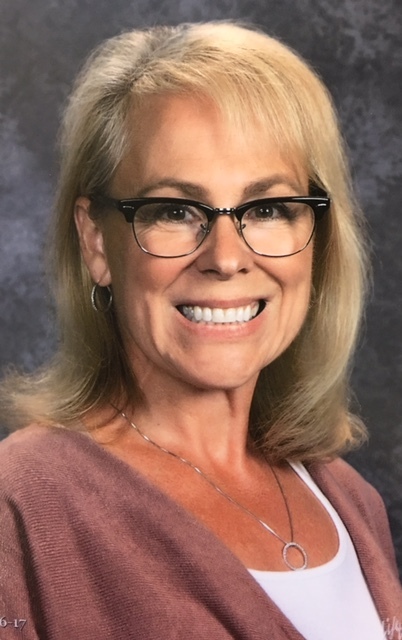 Lynn Walkuski is a Plymouth-Canton teacher who is managing the care of two ill relatives: One has stage IV renal cancer, and the other has complete kidney failure. While waiting for a call from one of their doctors, she received a call from her own doctor stating that she tested positive for breast cancer. Lynn has already had three surgeries since September 2016. She is undergoing 18 weeks of chemotherapy. When completed, she will be undergoing three- possibly four more surgeries. All the while she is in treatment, she continues to care for her family, including managing the care of two critically ill relatives. Due to her immune- compromised state, doctors do not want her to teach or be in public places. Lynn’s daughters have also attended Plymouth-Canton schools. Her youngest daughter, Lauren, is a senior at Plymouth High School. In September of 2016, Ray Barnes was rushed to the hospital, where he was diagnosed with kidney failure, which was disastrous. With only one kidney (the other was removed back in 2000 due to cancer), he was diagnosed with multiple myeloma, a cancer of the blood. Currently, he must go through dialysis for his one kidney three times a week, as well as chemotherapy once a week, as he gets treatment to put the myeloma into remission and prepare for stem cell transfusion and a possible kidney transplant. His wife suffers from multiple sclerosis, and cannot move without the aid of a walker, so is therefore unable to care for Ray. He’s a well-known coach for the Thunderbirds and Compuware Softball in Canton, with a step-daughter and son both at Canton High School. Fin GorgEffen is a 10-year old with spastic quadriplegic cerebral palsy and intractable epilepsy. He is wholly dependent on others, requiring being fed primarily via G-tube, due to dysphagia and potential risk of aspiration pneumonia. He is nonverbal and nonambulatory. He must attend specialists on a weekly basis, from eye doctors to neurologists to surgeons. Prior to his three hip surgeries, he participated in hippotherapy to help his hips develop, but stopped due to to the high costs. He now requires intensive physical therapy; more importantly, he needs a voice-output device in order to more effectively communicate and let his voice be heard. His mother, Carrie Gorga, is a speech pathologist at Smith Elementary School and Allen Elementary School. Courtney Todd had been struggling with kidney and health issues for the past three years, but doctors were never able to figure out exactly what was wrong, until she went for a second opinion and was diagnosed with soft tissue sarcoma in her neck, chest, and around one kidney in fall of 2016. She also has a tumor in each of her kidneys. To treat this, she is receiving radiation for three months, and then will require surgery to completely eradicate the cancer in her body and remove both tumors. Courtney is close to her 26th birthday, when she will no longer be on her mother’s health insurance plan. Courtney is a bright student, recently graduated from the University of Michigan with honors, with degrees in communications and marketing. She is a graduate of Canton High School class of 2009 and attended Discovery Middle School and Gallimore Elementary. She loves her Yorkie, sports and Fantasy Football. On April 7, 2016, Gina Wilburn was diagnosed with stage 2 lobular carcinoma breast cancer. Post double mastectomy, she was diagnosed with stage 4, ten lympnodes were cancerous, and there was cancer in her spine and liver. She was given two to five years to live. The idea was to try and give her the best quality of life for the short time she had left. But Gina wasn't going to settle for that. Instead, she spent the summer after her surgery researching. She moved her care to Cancer Treatment Centers of America in Chicago and began an alternative approach to healing. This meant she had to quit all of her jobs over and above her job as an English teacher at Starkweather Academy, a Plymouth-Canton Community School. As a single mom she has always worked anywhere from three to five jobs to support her family. Her diagnoses and approach to healing changed all of that. Using an alternative approach meant no insurance coverage - so everything is out of pocket. She had to sell her house and move to an apartment in order to continue her travels back and forth to Chicago and payment for treatment. What she has done has paid off. At her six month check up, her cancer could not be found! It wasn't detectable. She attributes her healing to the prayers from friends and family, and her support at CTCA. However, her treatment must go on for three to five years - all out of pocket. She can no longer work the extra jobs, so life has changed for her and her family. Her youngest daughter attends Plymouth High School as a junior. Her oldest daughter graduated in 2009 from Plymouth, and her son graduated in 2012. January of 2016, Michelle Wilson was diagnosed with Carcinoid/Neuroendocrine Tumor (NET)--a rare form of liver cancer with only 25K cases worldwide. She has been receiving medication that no longer suppresses the cancer growth, so she’s turned to other options. Her family seeks treatment available in Europe called Peptide Receptor Radionuclide Therapy (PRRT), but one that has not been approved by the FDA here in the US. This treatment has been available for over a decade, and holds promising results-but due to its limited reach and location, costs are unreachable for this family. Michelle’s children attend Discovery Middle School.